Celebrity jeweler Jeffrey Rackover treated James Rackover (né Beaudoin) -- who was charged with murder on Nov. 17, 2016, but is still awaiting trial -- like the son he never had and allowed him to formally use his name. 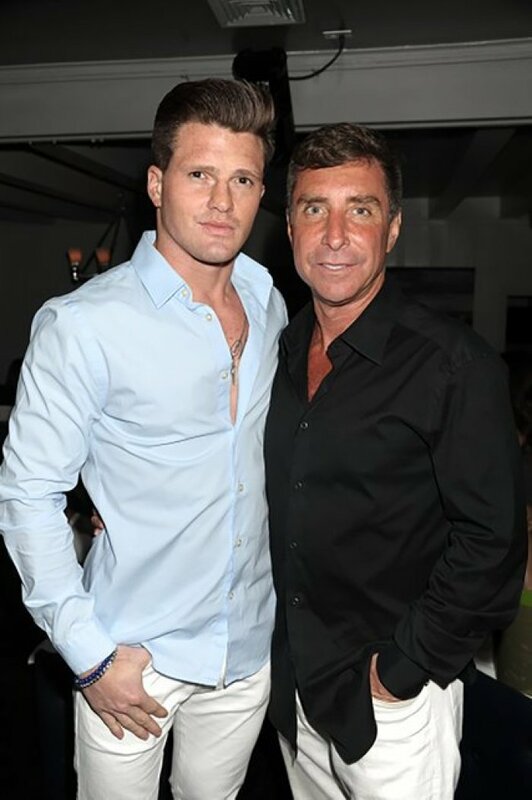 'Jeffrey never had children, he developed a relationship with this young man and introduced him to his family,' private detective Bo Dietl, who is the founder and CEO of Beau Dietl & Associates and a friend of Jeffrey's for 30 years, told DailyMail.com. 'Jimmy was a troubled young man and Jeffrey hoped to get him back n his feet. Meanwhile, individuals who live in the same building as the two men said that the two had an incredibly close relationship. Neighbors in the swanky building, which is next door to the home of president-elect Donald Trump's son Donald Jr., said they assumed the younger Rackover was Jeffrey's gay lover. 'Another friend saw them at a wedding and that was definitely not an appropriate father son relationship. 'The kid moved in about a year ago -- Jeffrey decorated it to his liking -- and apparently told people he was Jeffrey's long lost son. Dietl meanwhile described how the two first met years ago. 'Jimmy changed his name to James Rackover because Jeffrey liked this kid so much. 'Jeffrey is devastated by all of this. Something happened in the [fourth floor‎] apartment but Jeffrey know nothing about this. He has no idea what occurred. Dietl also gave a timeline for what happened over the weekend. 'Jeffrey went to sleep on Saturday night, then at 10am he went down to Jimmy's apartment to walk to dog. The place looked fine,' he explained. James had a long criminal history back from his days in Florida, but that did not bother Jeffrey, who wanted to help the young man. 'Jeffrey took a liking to him. The heart that Jeffrey had for this kid. He tried to help him and look what happened,' said Dietl. Dietl said he did not know the young man's real name and was not sure if the Mercedes Benz he was driving when police arrested him belonged to Jeffrey. Jeffrey, who has never married, used to work for Graff Diamonds and hosted the company's grand New York opening party attended by minor European royals Princess Michael of Kent and Prince Dimitri of Yogoslavia. Screen icon Joan Collins also attended. The permatanned 56-year-old later set up on his own, providing jewels for Oprah Winfrey and Jennifer Lopez, as well as helping Donald Trump pick out the engagement ring he bought for future third wife Melania. 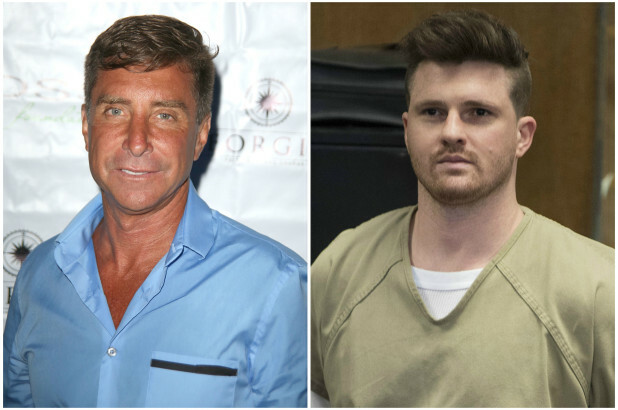 James was charged with murder on Thursday after the body of Joseph Comunale, who goes by the name Joey, was discovered in a wooded stretch on the Jersey shore early Wednesday. Lawrence Dilione of Oceanport, N.J., has also been charged with murder. 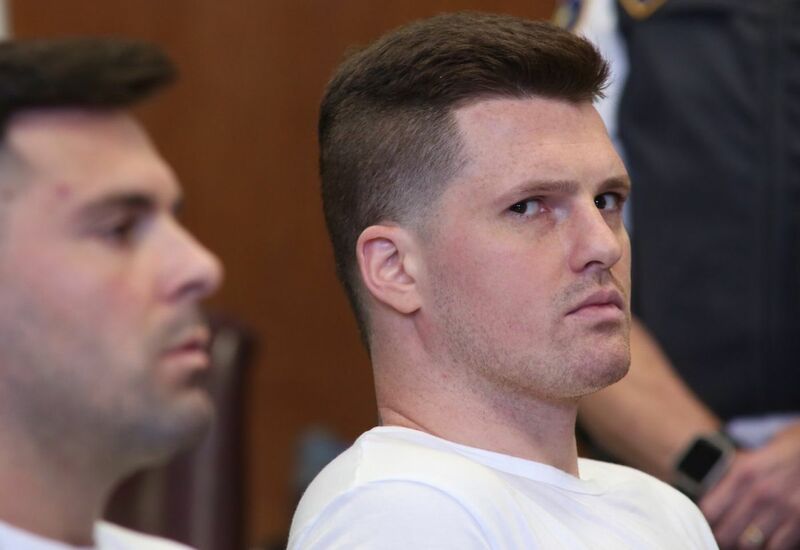 The two men are facing charged of second-degree murder, tampering and hindering prosecution charges after they allegedly stabbed Comunale 15 times and then tried to burn his body with gasoline on Sunday. Comunale's partially-burned remains were found inside a suitcase that had been buried behind Foggia's Florist in the town of Oceanport. There were multiple stab wounds on the victim's body. Comunale was reported missing at 8am on Tuesday by his father after he never returned home from his weekend trip to New York City. He reportedly met two men, including James, at a club on West 14th Street on Saturday night and that at the end of the evening they headed back to James' apartment on 59th Street with three women. The three women then left early that morning, and Comunale was seen reentering the building around 7:30am. It is not known why he left the building or what for at that hour. Some time after he returned the men reportedly got into a fight and Comunale was stabbed multiple times. Suspect Lawrence Dilione (l.), 28, had already lawyered up when he gave a statement to cops. He and James Rackover (r.) will be tried separately. Then at some point a person inside called the front desk to request a luggage cart. Not long after that, a man was recorded on surveillance video using the cart to transport two pieces of luggage out of the building. A building employee was also reportedly asked by the an individual in the building how long video surveillance was kept before it gets erased. On Tuesday, authorities found a pair of pants that are believed to belong to Comunale, and bloody sheets inside of a garbage bag near the apartment building on East 59th Street and First Avenue. 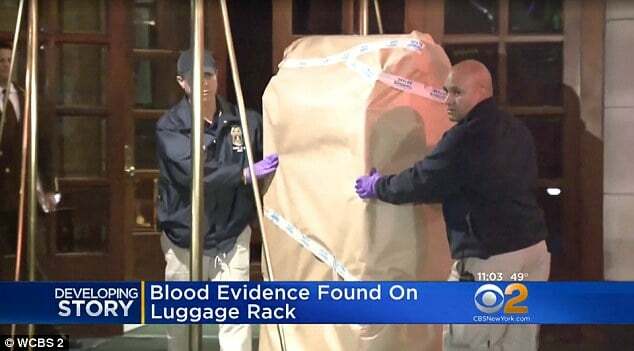 The NYPD K-9 team also found blood evidence on one of the luggage cart's used by a resident in the swanky building. On Wednesday evening the search around the building continued, with one DailyMail.com reporter discovering police officers combing the bushes outside with flashlights. They were also spotted leaning out of the apartment building's windows shining flashlights below and on the side of the building. Police are said to have found blood evidence in both the apartment and car, despite attempts to clean both. Also on Sunday night, the NYPD received an unrelated 911 call about a man dragging a suspicious trash bag out of the fancy co-op building, which is located at 418 East 59th Street in Midtown East.